London – November 15: Yes, we’ve won! 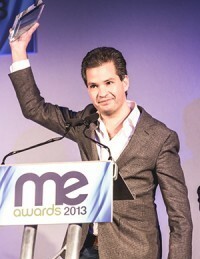 BoosterMedia is the 2013 “Best Social Games Service Provider” – named as the winner at the Mobile Entertainment Awards ceremony in London. Other finalists included GREE, DeNA, PlayPhone and WildTangent, so we’re pretty pleased with putting HTML5 games in the spotlights.